This was one of my favorite books of 2016. I love finding lesser known books about ordinary people that do extraordinary things. This book is just that. 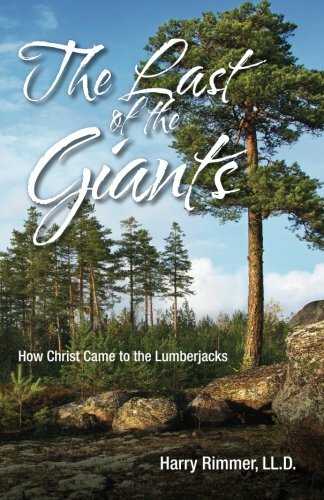 It is a book about lumberjacks that God used to do great things. I grew up in the middle of logging country in the far NW corner of Oregon. The town I grew up in is surrounded by the logging industry and loggers. This book takes places in Minnesota and the northern part of the United States, but much of it I understood because I grew up around loggers. Logging is one of the most dangerous jobs there is to do. It is a rough and tough life. This book does not hide that fact, but it shows that God’s love and grace can change even the roughest and toughest people and use them for His good. If you like Christian biographies, I think you will enjoy this one.